Early sales figures show the late star could have as many as seven singles in the top 40, with the highest - former chart-topper I Will Always Love You - on target to reach number 10. The rush to buy her songs means 27 of her singles could figure in the top 200, according to figures from the Official Charts Company. 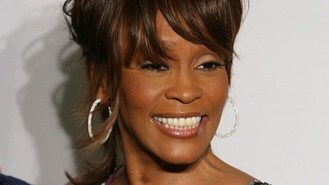 Singing star Whitney died on Saturday evening and fans quickly started to stock up on her old hits. I Will Always Love You, a cover of the Dolly Parton song which featured in the movie The Bodyguard, has previously spent 10 weeks at number one and was the biggest selling single of 1992. If present sales levels continue by the weekend, Houston will account for more than an eighth of the entries in the top 200. Her 1987 single I Wanna Dance With Somebody is due to chart at number 13 on present sales levels. One Moment In Time, My Love Is Your Love, I Have Nothing, Saving All My Love For You and How Will I Know are all in line for the top 40. Whitney's's best-of collection, The Greatest Hits, is in line to go back into the album chart at number six. Other strong sellers include The Greatest Love Of All and It's Not Right But It's Okay. Official Charts Company managing director Martin Talbot said: "The tragic death of Whitney Houston came as a shock to her friends, colleagues and music fans across the world. "Again, the British public is demonstrating its love of Whitney, just as it did for Amy Winehouse last year and Michael Jackson in 2009."